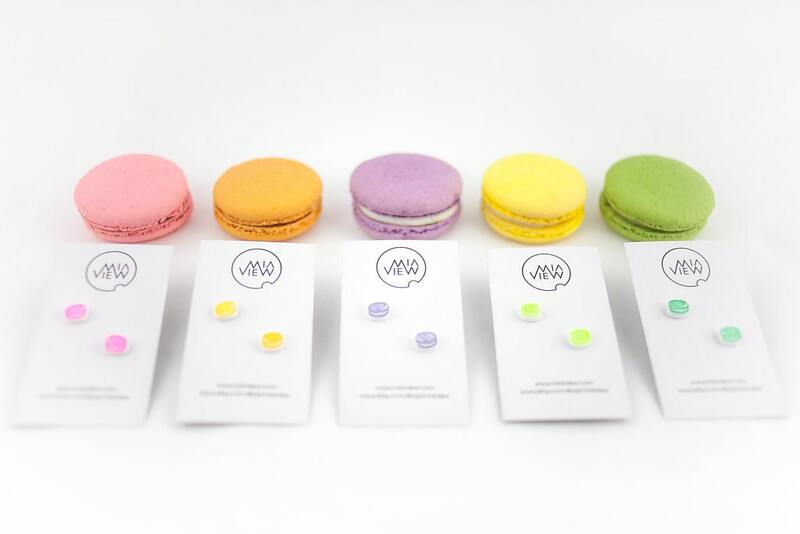 Small Macaroon Stud Earrings by MiaView. Available on many different colors, they will be sent in a gift package. Ready to ship. Only 1 pair of each color is available, select from yellow, orange, green or violet.